The Glen is a very comfortable, pretty cottage in the beautiful peaceful village of Ilmington. It is well equipped. The excellent local community shop and cafe is a short walk. There is a good play park nearby. It is a good location and Stratford upon Avon is only about 20 minutes away by car. Mobile phone signal is patchy in the cottage but you can usually pick up signal nearby. There is a payphone within the property if the need arises. Our second visit. Lovely house and village convenient for lots of places of interest. We loved the property and Ilmington - perfect location. The kitchen was slightly tired and could maybe do with new cupboards, but that did not in any way detract from our enjoyment. We had the most delightful holiday in the most charming cottage ever. The Glen was in a simply idyllic village, walking distance to 2 pubs with good food. We could walk from the house to nearby destinations, like Hidcote Gardens, and come back to be warm and snug in front of the fire, and prepare dinner in the excellently fitted out kitchen. We especially enjoyed the little summerhouse in the garden and the table and chairs with umbrella on the patio. The welcome basket was a treat, and we appreciated the small supplies of staples left there, like washing up liquid, so that we didn't have to rush out and stock up. The beds were very comfortable, and the cottage was quiet and peaceful. We'd definitely go back. The best week my family and I have spent in England. 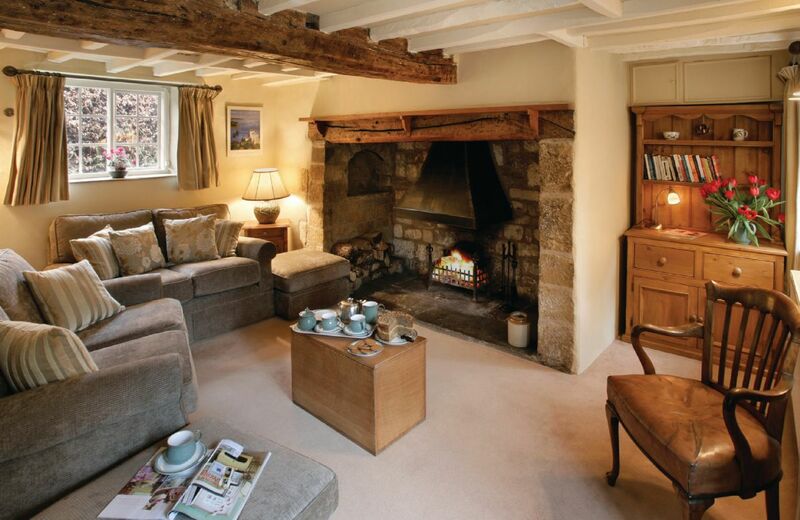 A Cotswolds dream cottage in quintessential friendly small village. 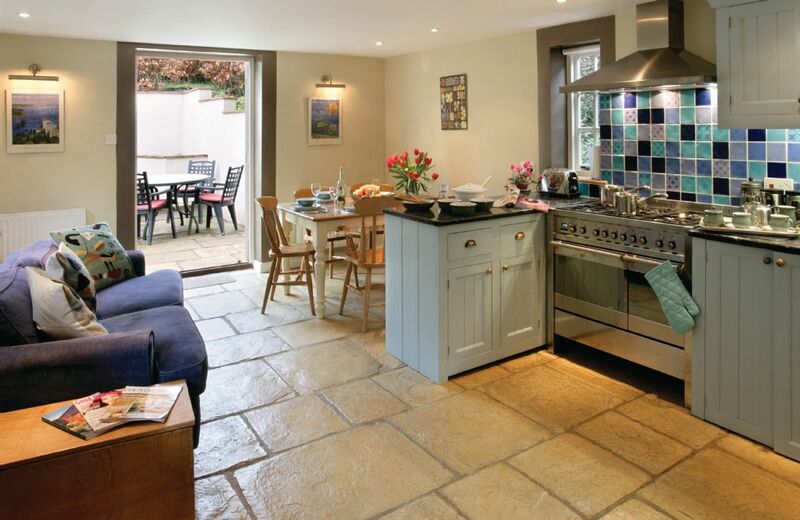 Stunning cottage has everything you need including a beautiful garden. Wonderful walks, a couple of great pubs and a great village shop all a walk away... we will be back! Great cottage in a lovely village. The Glen is one of our favourite RR cottages and this is our 3rd visit. We loved every minute although we felt it was in need of a bit of TLC here and there. Some sharp knives wouldn’t go a miss either! Lovely cottage & everything was great the only reason for not giving 5 stars is that the boiler was a bit dodgy. 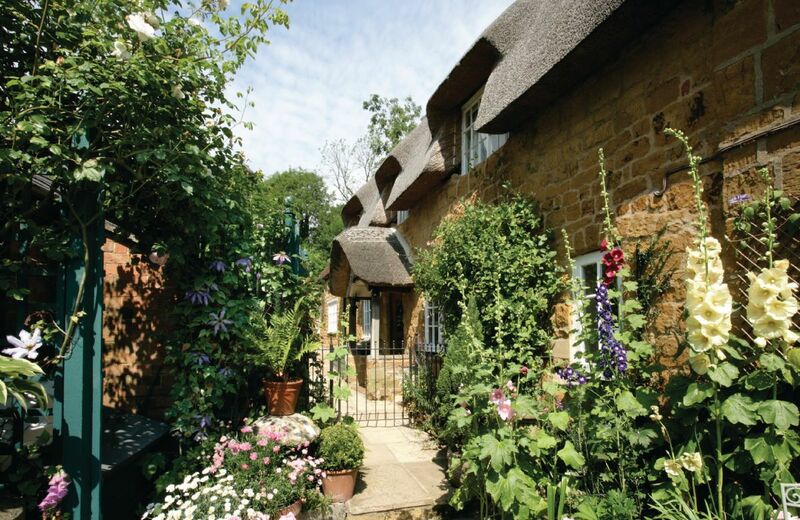 What a lovely cottage in beautiful village in the cotswolds. The house was perfect with comfy beds, modern bathrooms, cosy sitting room and plenty of kitchen and dining space. We really enjoyed exploring the local area and the village pub ‘the Howard arms’ was very quaint. Also a fantastic welcome hamper was much appreciated. Definitely recommend a visit here. A beautifully presented cottage that provided a comfortable weekend stay as a base for our son's wedding day. Ideally situated for the newly opened wedding and reception venue at Blackwell Grange nearby, The Glen is a perfectly located retreat for the perfect escape and the complimentary welcome hamper is a feast in itself! Lovely cosy cottage. Good spacious rooms. Unfortunately we did not realise there was not a downstairs toilet. However managed stairs even though I am suffering from a ruptur ed tendon in my foot. Found parking quite difficult even though we were out of season. Could be difficult in the summer. Thank you for your feedback. I do hope that your foot mends soon. Ilmington is not actually a village that gets busier during the summer so parking then is fine. The cottage was spotless and incredibly welcoming; warm and cosily lit on our arrival - v welcoming on a very cold and dark evening. 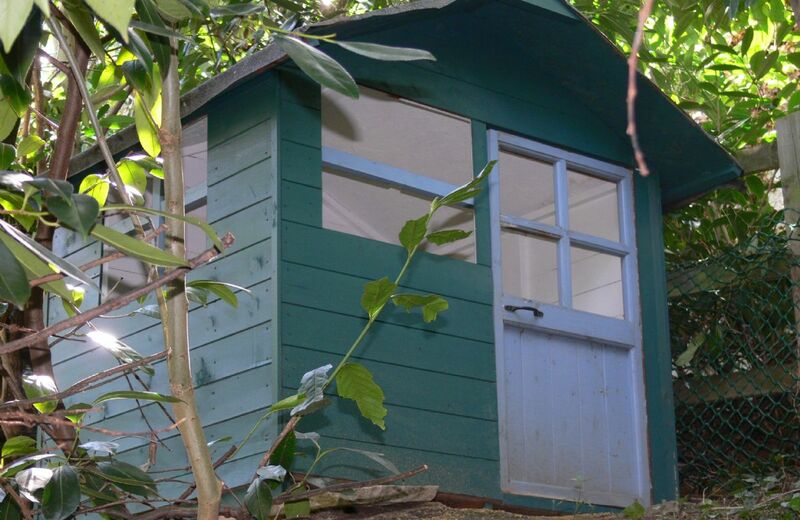 An excellent cottage, well situated and all very well maintained. One slight criticism, some of the kitchen utensils/pots etc were a little worn and could ideally do with being replaced. Thank your kind comments about the Glen - I will pass on your suggestion about the kitchenware. Loved this adorable cottage! It was tucked away but full of room for a family of 5. The rooms were spacious and bathrooms comfortable. The kitchen was well stocked and the garden was beautiful. Excellent property in a gorgeous quiet village. Location was perfect. The property was prepared to a very high standard with everything that we could possibly need. Very comfortable and very clean. Beautifully presented. What lovely feedback for The Glen. Thank you very much. We stay in Rural Retreat properties at least once a year, and unfortunately The Glen at Ilmington wasn't up to your usual standard. It was very tired looking and when we walked in, it smelt of cigarette smoke, as if it had been smoked in for a long stay. It wasn't the smell of the fire hearth. The kitchen was very nice, but the blue sofa was stained and smelt of dog! The courtyard outside the kitchen was full of huge garden furniture which was not easy to navigate! The garden is obviously in the middle of a makeover but it was rather ugly especially at the rear, and looked very little like the picture on the website. The main bathroom was very disappointing, with a very small bath and no shower curtain so you couldn't use the shower head? The painted floor boards meant it was difficult to clean up when water was splashed. The main bedroom was lovely and large and obviously built with the kitchen extension, but there was such a big difference between it and the smaller, and very tired original cottage rooms that it caused some embarrassment on room allocation! The lounge too was unappealing and bland, it had no character and it wasn't a place that you wanted to sit and spend time in. Unfortunately we spilt some shepherds pie in the oven when it heated up and caused terrible smoke from the burning, but the fire alarm did not go off? Although when you pressed the test button it did sound. Perhaps this should be checked. The location for the cottage is really wonderful. However its position was very misleading from your website. It looks like The Glen is the cottage you see in the foreground? It was not explained that it was to the rear and that you had to walk through someone else's property (featured in the photograph) to reach your own front door. 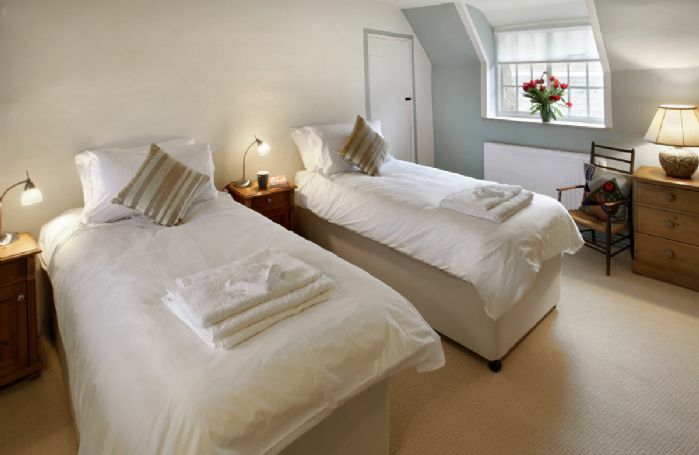 The house keeping, bed linen and towels were all very clean and well presented. Thank you for your feedback. I am so sorry that you weren't happy with aspects of The Glen, and we have passed your comments on. This is the fourth stay in The Glen and it is still as good as ever. need of a refresher. The new cooker and C/H boiler were a great improvement. The Glen is a charming Grade II listed Cotswold stone holiday cottage. Semi-detached and part thatched, this self catering accommodation has an attractive enclosed garden overlooking Ilmington's Norman church. There is a large kitchen/diner which is ideal, ensuring the “chef” never feels left out while others are relaxing on the perfectly positioned sofa in the same room. Step out of the french doors onto the patio or wander up the steps to the second level lawned area and enjoy al fresco evenings in this charming garden, or retreat to the summer house for a little more comfort. 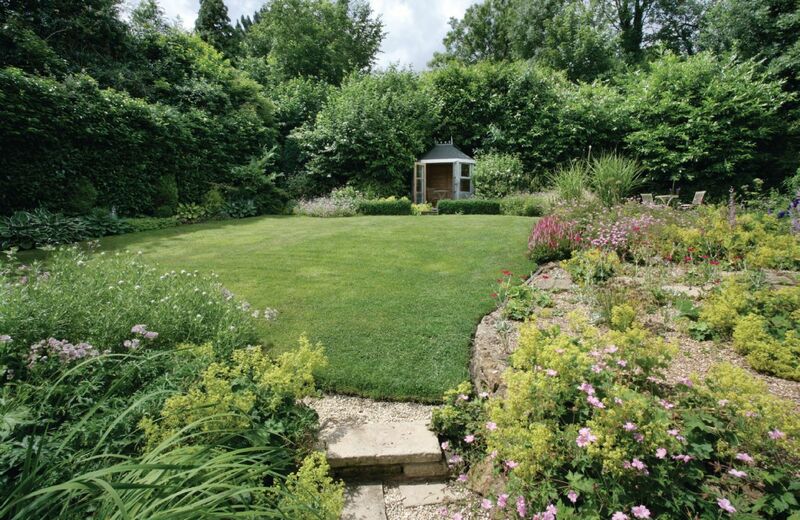 For children wishing to explore, ask them to seek out the secluded wendy house at the top of this gently sloping garden. 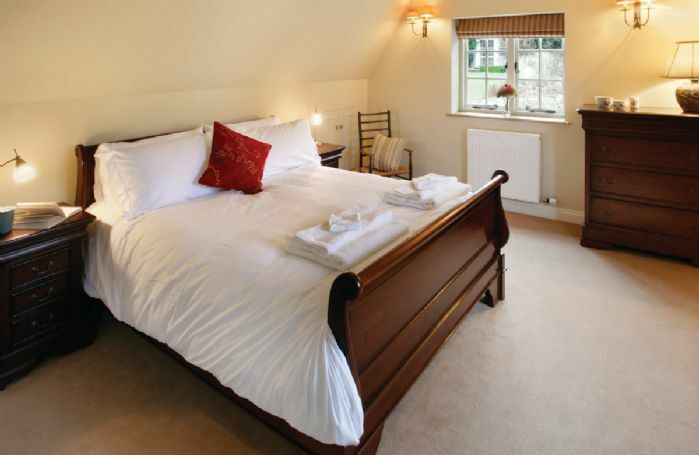 Ilmington is a delightful village nestling at the foot of the Cotswold hills, surrounded by good walking countryside and lying in one of the UK's designated Areas of Outstanding Natural Beauty. Two traditional country pubs (including the Howard Arms, well-known locally for its excellent restaurant) are within easy walking distance of the cottage in addition to the well-stocked village shop. Attractive enclosed garden overlooking the Norman church and built over two levels with steps. Peaceful, picturesque village with volumes of charm and character. Exposed beams and flagstone floors in the kitchen. Electric oven and hob, microwave, fridge/freezer, dishwasher, washing machine. TV, DVD, CD player and radio. Morris men are often found performing throughout the local areas. The village is a short drive from Chipping Campden, Stratford-upon-Avon and Warwick which all provide an array of shops, restaurants and pubs. Enjoy Hidcote Gardens and Kiftsgate Gardens. A short drive away you will find the town of Broadway, it is often referred to as the “show village of England” due to its beautiful honey coloured limestone buildings some of which date back to the 16th century. Visit the Broadway Deli to stock up on all the lovely, local produce that is beautifully presented inside and out of the shop.